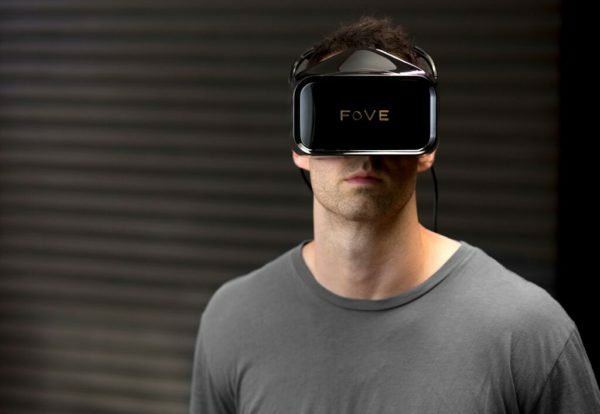 The FOVE VR headset. Photo: FOVE Inc. There has been an unprecedented growth in the VR industry, most specifically in the development of VR headsets. VR alone opens up new possibilities to how we interact and engage ourselves with our digital content. But there are some aspects in VR that only certain technologies and innovations can deliver in order to provide the very best VR experience. Take motion tracking as an example for this context. 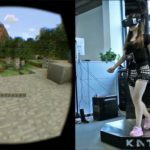 When it comes to VR, motion tracking is so important and vital – it can literally make or break the entire VR experience, even with just a tiny inconsistency in synchronization. A few milliseconds of latency can be perceptible to the human eye – that it could be enough to introduce motion sickness. Fortunately, one VR tech startup is aiming to be at the forefront of VR headsets by taking the natural movement of our eyes into useful objects of VR manipulation and interaction. It’s taking a different path from the likes of Oculus Rift and Project Morpheus, among others. 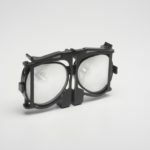 The FOVE VR headset is developed by FOVE Inc., a VR tech startup co-founded by Yuka Kojima, a former game producer at Sony Computer Entertainment; and Lochlainn Wilson, a developer that has deep roots in virtual reality technology. FOVE came to life from an academic collaboration starting from the University of Tokyo in Japan. It accelerated its growth and development thanks to the assistance of Microsoft Ventures. Showcased in various tech conferences since last year, the FOVE VR headset has been gaining traction in public awareness and enthusiasm by VR geeks. 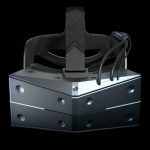 This is hugely attributed to the fact that FOVE is the world’s first eye-tracking virtual reality headset, making it a unique proposition among all other VR headsets currently in development. Many VR enthusiasts have been talking about FOVE’s huge potential to become a mainstream VR product because of its unique capabilities. High Fidelity’s founder Philip Rosedale describes FOVE as “a solid HMD… this is a huge step forward.” Mike Rothenberg of Rothenberg Ventures exclaims that FOVE has solved an incredibly complex technological problem – that is to track eyes in real time and have it interact with the virtual environment. Eye typing. 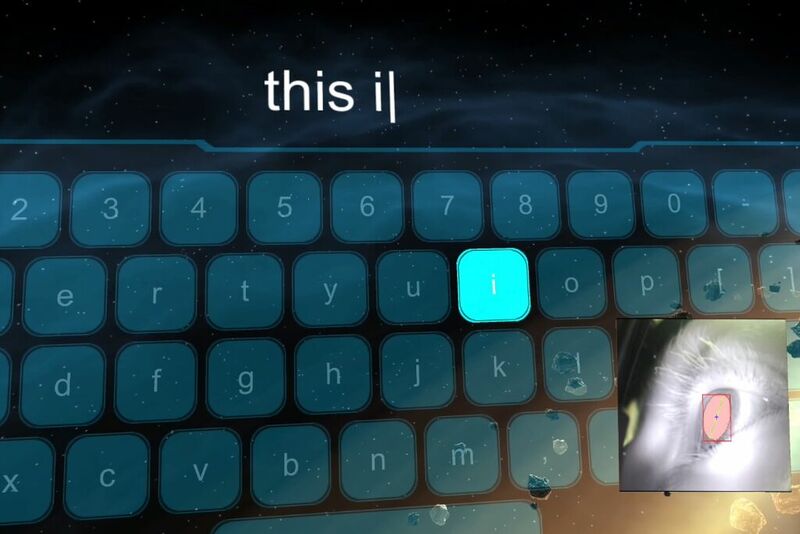 FOVE can enable handsfree typing by using the user’s eye movements. Photo: FOVE Inc.
FOVE enables great accuracy and precision to interacting with virtual content through the use of infrared sensors that track the eye movements of the user. A subtle yet useful feature of the FOVE headset is the ability to focus primarily on a certain object, while blurring the surroundings with respect to the object. This visual technique is called Variable Acuity Resolution, and is a key feature of FOVE that mimics how the human eye perceives physical objects in the real world. The technical specifications of the FOVE headset are top-notch, which should be a no-brainer for such a high-end VR headset. Its eye tracking accuracy is finely tuned to just 1/20th of a degree – this practically eliminates delays in motion tracking of the user’s eye movements, which in turn directly benefits the user by rendering every virtual interaction as seamless and realistic as possible. An ultra low latency in head tracking is also a key aspect of the FOVE headset to help its user gain true positional awareness. FOVE also makes it possible to view virtual content as wide as it can be, with a 100-degree field of view on a large 5.8-inch high-resolution display. In the near future, FOVE will also enable emotional tracking of the user’s facial expressions along with the interpretation of the user’s eye movements. This could be the key to making realistic interactions with virtual environments, thanks to true-to-life responses to various emotional conditions. Not only FOVE is focused on making VR better – it has its useful applications in health and education as well. In robotics, for example, the user can manipulate a robot’s movements just by his eye movements. The physically challenged will also benefit from FOVE’s eye-tracking technology by using their eyes to manipulate physical objects when their hands and limbs can’t do the same thing on their own. Recently, FOVE was introduced to Kickstarter as a crowdfunded project to gain financial support in order to push its development even further. 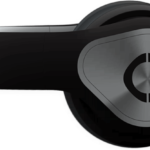 In just 72 hours or 3 days, the FOVE headset was successfully funded, reaching its initial milestone mark of $250,000 by 735 supporters. It was made available to early supporters in a limited edition pricing of $349, a $150 discount from its intended retail pricing of $500. In the midst of immense growth in VR headset development, FOVE is pushing the limits of VR by introducing eye tracking technology as a driving force behind great VR interactions. It is FOVE’s vision to make the future of VR be in the eyes of the user. And that’s a cool thing.